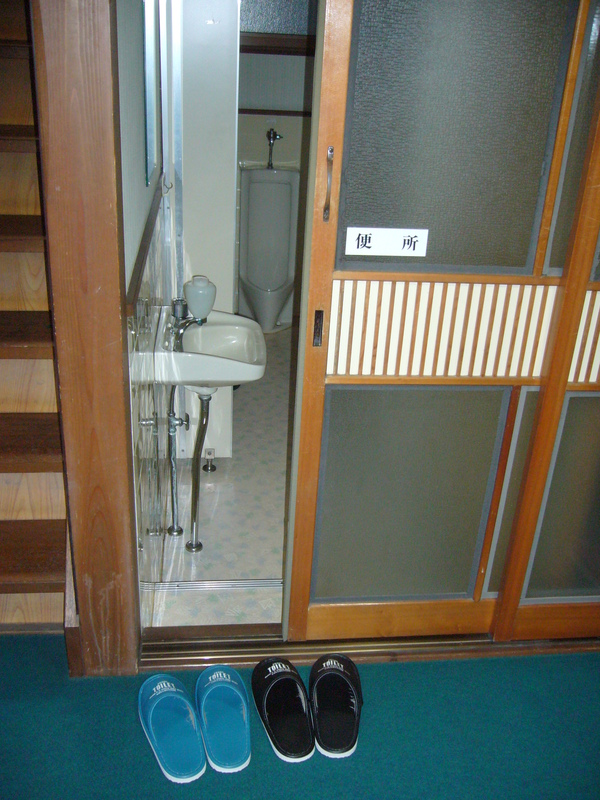 This entry was posted in Culture, Japan and tagged Apologies, apologizing in japan, Daily life, genkan, Hotel, Impressions of daily life, Japan guide, Japanese culture, Japanese hotels, Japanese rules, purity in Japanese culture, shinto, slippers, Social rules, Tatami, toilet slippers by Haruko-chan. Bookmark the permalink. Our family never wears our shoes past the doorway, and we are an American family living in Arizona. My mother vaccums the carpets twice a week and is very clean-conscious so wearing shoes past the entryway in our house is just rude (and uncomfortable). 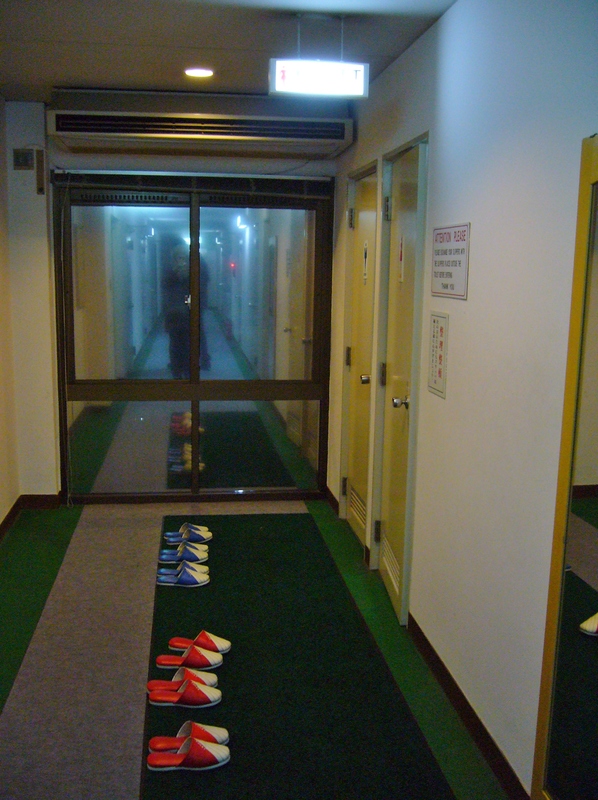 If you have your shoes on, not only is it dirty, but it feels like the person visiting is planning to leave at any moment and not feeling welcome in the home. i grew up in asia, and so i’m used to the etiquette of ‘no shoes’ in the house and also the use of slippers inside a house. 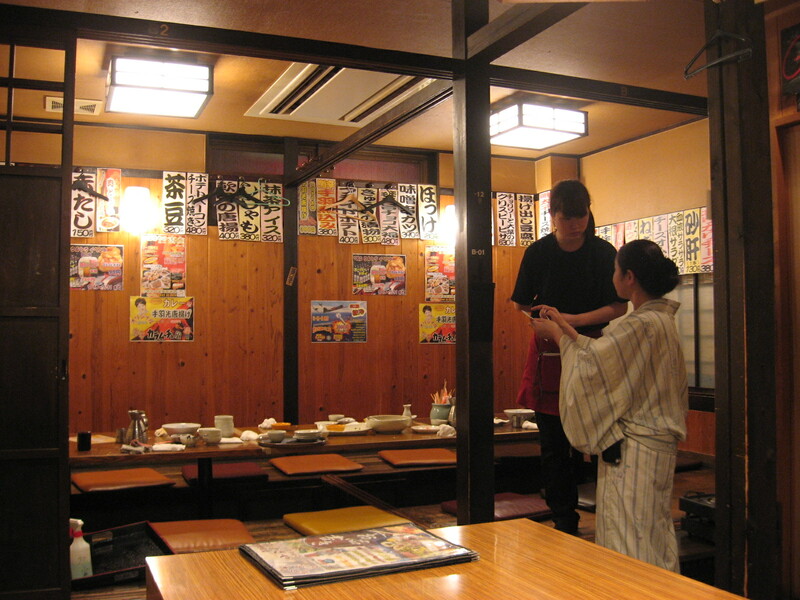 but the practice of slipper wearing is different in japan. one that i have to learn to adjust to, whenever i get to visit japan. How is it different from the one you are used to? we take off our shoes upon entering a house. 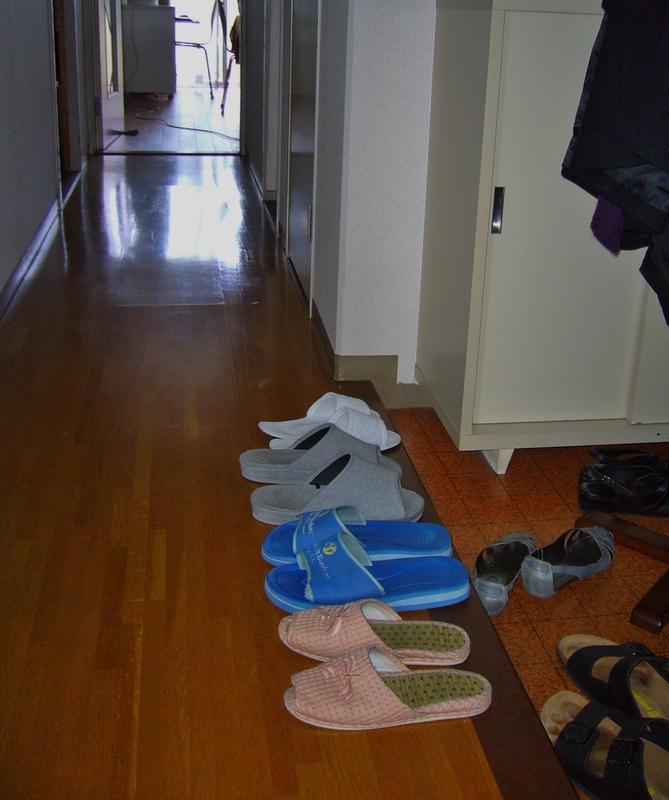 but once we are inside, we put on a slip-on/slipper/sandal to wear inside the house. but we take it off once entering the bedroom. inside bedroom we walk bare feet. In the Netherlands, people don’t usually take off their shoes when entering the house. But living in Japan, I’ve gotten so used to it now that when I see a Western sitcom, I feel really weird seeing people wearing shoes in the living room! Once you get used to taking them off in the house, it feels dirty to keep them on, doesn’t it? Yes! I was talking to a foreign friend the other day and we were saying that you feel this change in perception most strongly when you are leaving the house but realize you forgot something. There’s no one there to tell you off if you do enter the house with your shoes on, but it just feels so … wrong! I don’t like slippers in general and I think it’s my mother’s influence. She does not have any in her home, for her or for my father nor guests, including in the toilet though, mind you, the place is clean. I have slippers for guests and flip-flops for myself but often just go w/o them. My bathroom is more of a room than a toilet with the same “flooring” as in other rooms and silk and wool carpets so no slippers there. I know I’m not your typical Japanese. Hey, I’m not your typical Belgian either 🙂 I think more and more, people in Japan are just finding their own preferred way of doing things, rather than using the traditional way. I just remembered my mother wears slippers in her kitchen! One of my grandmothers had toilet slippers in her apartments in Columbus OH and Minneapolis. And we still mostly take off our shoes in the house. I have my “indoor” shoes that I only wear inside. In our family in Belgium we also take our shoes off in the house. But when we have guests, we often don’t ask them to take off their shoes because some people in Belgium consider that a bit rude. But of course that kind of defeats the purpose of taking shoes off in the house, especially when there is carpeting. Maybe I should just get a bunch of guest slippers and a pair of toilet slippers and be disciplined about it from now on.